Purim ends at sundown today. I can’t say I grew up knowing much at all about Jewish holidays. I wonder if kids growing up in New York City do, or if they just know that they’re days some people get off from school. Anyway, the explanation for Purim is given in the Book of Esther. This is an interesting book, the last to be accepted as part of the Tanakh, and one of the few not to mention God. Well, at least the Masoretic text doesn’t; I believe the longer version in the Septuagint does. I suppose it’s also one of the last books chronologically, as it takes place when Judea was part of the Persian Empire. It’s a tale of court intrigue and high stakes concerning a king called Ahasuerus, who has been identified with both Xerxes I and his son Artaxerxes I. One day, while drunk at a party, the king orders his wife Vashti to show herself off in front of the guests, which she refuses. One of his advisors says that this could lead to other women disobeying their husbands. Sadly, this is not the story of a Persian women’s uprising. 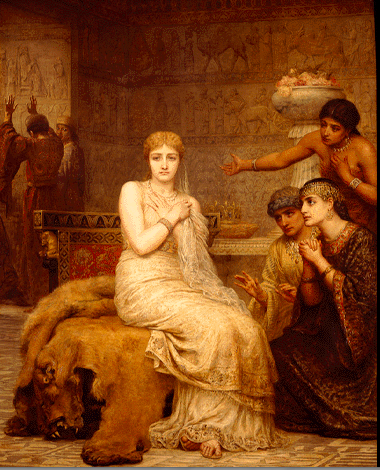 Instead, the king seeks a new wife, choosing a Jewish woman named Esther. She was raised by her cousin Mordecai, who overhears and reveals a plot to assassinate the king. He also refuses to bow to the king’s chief minister Haman. I’m not quite sure why he refuses; apparently there were later interpretations suggesting Haman wanting not just reverence but worship, but I don’t know that the actual text indicates this. Regardless, Haman’s incredibly cruel reaction is to have all the Jews in the empire killed. I don’t know whether there’s any historical basis for this. The Greeks and Romans singled out the Jews for particularly bad treatment due to their refusal to participate in imperial rituals, but did the Persians? They were also generally monotheistic at this point, although their interpretation might have been different. King Cyrus is given the title Messiah in the scriptures because he allowed the Jews in exile in Babylon to return to Judea and rebuild the Temple, but that doesn’t necessarily apply to all of the Persian rulers. The king is okay with Haman’s proposed genocide at first, but changes his mind when he remembers that Mordecai saved his life, and that Esther is really hot and throws cool parties. So Ahasuerus instead orders Haman and his family executed, then allows the Jews to kill 750,000 people throughout the empire, because there had to be SOME kind of massacre that day, I guess. Doesn’t the Bible have any stories that DON’T end in mass slaughter? It seems that life was cheap in those days, but maybe it’s not much better now. It’s just strange to me that people seem to think that Yahweh was a better moral guide than other gods of the time when His worshippers seem to neither more nor less bloodthirsty as anyone else in that time and place, often attributing the killing to God. It’s disturbingly fascinating to me that the account of the conquest of Canaan in the Book of Joshua, which details the Hebrews coming from outside the country to wipe out entire populations, is thought by historians not to have even happened, at least not on that scale. So whoever wrote the book essentially said, “You know what would make our nation sound awesome? 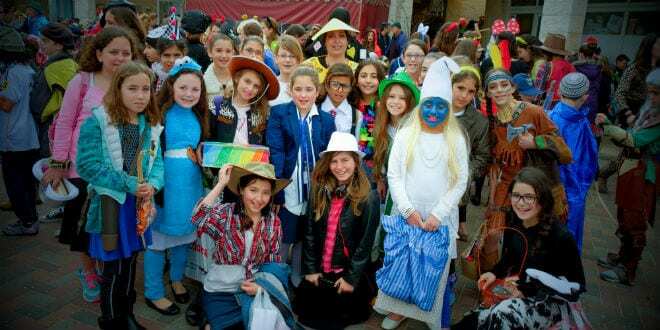 If we say we committed a bunch of genocide that we didn’t actually do!” Fortunately, traditions associated with Purim don’t include killing thousands of people. They have come to include dressing in costumes, a practice apparently started in Italy in the fifteenth century. Because of this, I’ve heard people consider Purim the Jewish equivalent of Halloween, but I don’t think it really matches in any other respect. Also, there’s a pastry typically served on Purim called Haman’s Ears. The Bible in general seems to leave out a lot of significant details, which is part of why there are constant reinterpretations of the text. Vashti comes across as rather sympathetic, as she doesn’t seem to do anything wrong other than not showing off in front of her drunken husband as his pals, and why should she? If anything, it seems that the moral of the story is that, if a woman wants to effect change, she needs to do it subtly, and in a way that flatters men. Rabbinical tradition has added several details to make Vashti a much worse character, the daughter of Belshazzar of Babylon, who had a history of abusing Jewish women. Also, the king expected her to appear naked at the feast, and she’d generally be okay with that, but she had either leprosy or a tail given to her by the Archangel Gabriel. And Haman wore a idolatrous image on his robes, which is why Mordecai wouldn’t bow to him. With many of these traditions, there’s no way of knowing whether they’re based on actual information or just made up to resolve inconsistencies or morally objectionable elements, sort of like a lot of fan-fiction today. This entry was posted in Feminism, Hellenistic Greece, History, Holidays, Judaism, Middle East, Prejudice, Religion, Roman Empire and tagged belshazzar, bible, esther, gabriel, genocide, haman, joshua, king ahasuerus, king artaxerxes i, king cyrus, king xerxes i, midrash, morality, mordecai, persia, purim, septuagint, vashti. Bookmark the permalink.